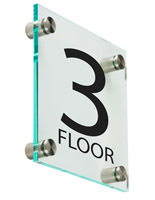 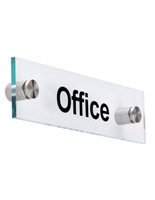 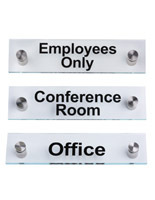 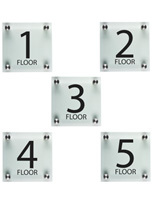 Make your facility easier to navigate through with these pre-printed office wall signs. 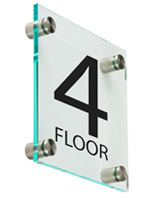 At The Workshop, we wanted to create a solution to our customers’ wayfinding woes that was simple but effective. 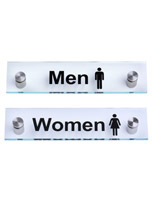 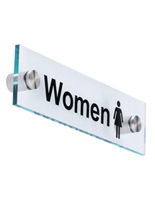 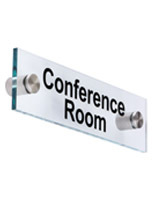 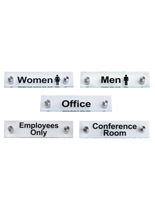 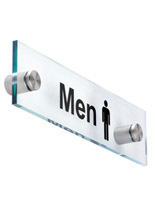 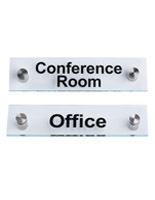 These office signs are printed with stock messages and graphics that are standard in many office buildings and facilities, including “conference room,” “restrooms,” and floor numbers. 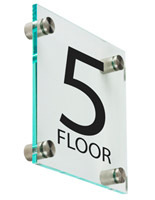 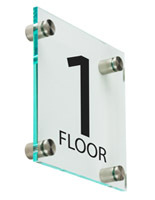 The acrylic plates are edged with a green tint, giving these signs the appearance of glass. 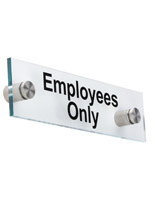 With through-grip standoffs, these signs have a multidimensional look while retaining a low profile from the wall. 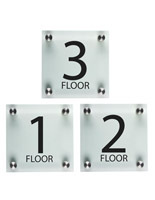 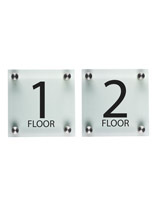 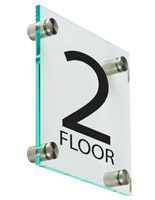 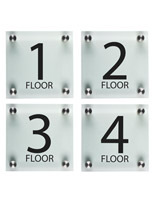 Place these throughout your office on walls or doors to create a smart and intuitive wayfinding systems for your building.